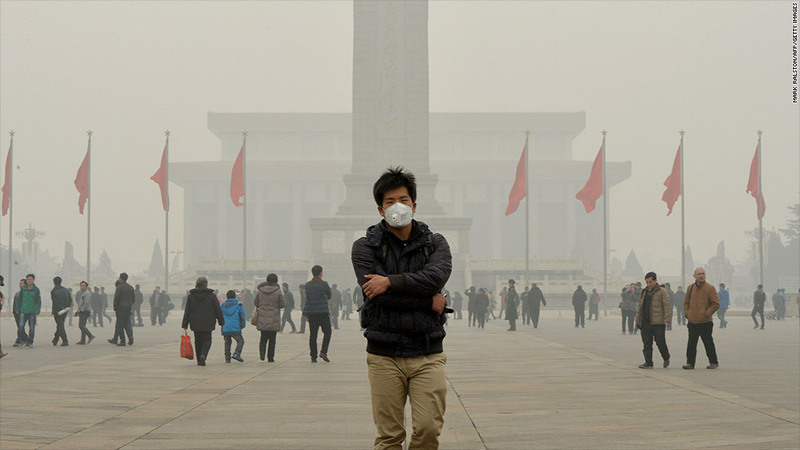 Heavy smog blankets Beijing's Tiananmen Square. China declared a "war on pollution" this week, and is now fortifying its arsenal with a new weapon: smog-clearing drones. The drones work by shooting chemicals into the air, freezing pollutants and making them fall to the ground, according to state media. The unmanned vehicles currently carry about 176 pounds of haze-scrubbing chemicals, while future versions will hold more than 1,500 pounds. The drones, which come with a gliding parachute, were developed and manufactured by a Chinese company. State media said that about 100 test flights have been conducted, and more will take place soon at airports and ports in northern China. The drones are said to be 90% cheaper to operate than the fixed-wing aircraft China uses now to spray the same chemicals. 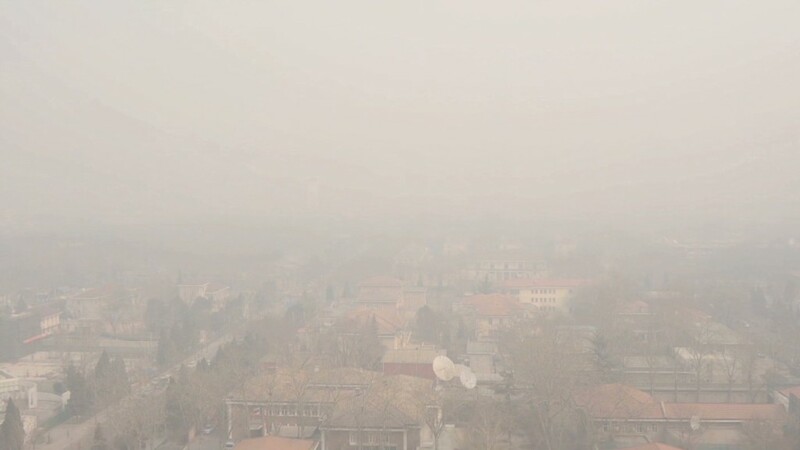 Parts of China, a nation of 1.3 billion, are sometimes blanketed with heavy pollution. Environmental degradation is an area of growing concern for the government, which wants to maintain social stability. Experts have said Beijing can no longer ignore the issue. Premier Li Keqiang acknowledged earlier this week at China's annual parliamentary meetings that "smog is affecting larger parts of China and environmental pollution has become a major problem." Li set goals to lower energy consumption, reduce emissions, shut down 50,000 coal furnaces, minimize vehicle exhaust fumes and boost alternative energy sources. Drones are not China's first foray into weather manipulation. Officials often use an arsenal of rockets, artillery and aircraft to disperse chemicals like silver iodide into the sky. The technique -- called "cloud seeding" -- creates rain and helps clear the air. Yet the underlying pollution problem remains, with no amount of weather trickery able to mask it for long.